The Mediterranean region is affected by numerous aspects of environmental change, including climate change, overexploitation and pollution of air and water. In order to complete the gap in terms of information accessible to decision-makers about the Mediterranean environment and the current and future impacts of climate and environmental changes, the network of Mediterranean Experts on Climate and Environmental Change (MedECC) has been created in 2015. MedECC is based on an open and independent international scientific expert network acting as a mechanism of on-going support for decision-makers and the general public on the basis of available scientific information and on-going research. 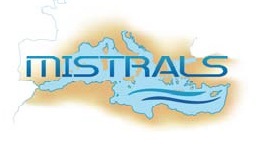 The construction of this network responds to several intentions of regional institutions, such as the UN Environment/MAP through the MSSD 2016-2025 and the Regional Framework for Climate Change Adaptation in the Mediterranean, and the Expert Group on Climate Change of the Union for the Mediterranean (UfM CCEG). MedECC includes more than 600 scientists from 35 countries. Membership is based on contact with the organizers and open to all scientific experts working on climate and environmental change from the natural sciences, social sciences and/or a humanities perspective. MedECC covers all major geographical sub-regions of the Mediterranean area.